Proficient NSF to PST Converter application to import data of IBM Lotus Notes to Microsoft Outlook by converting .nsf file to .pst. Utilize a trustworthy solution to convert notes to outlook PST formats that can be accessed through all Outlook editions. Migrates NSF File Emails, Tasks, Calendars, Notebook, All Documents, etc. For Lotus to Outlook migration, the tool provides support to all Outlook versions including 2016, 2013, 2010 and 2007 . Supports all Lotus Notes versions including 9.0, 8.0, 8.5, 7, 6. The Lotus Notes to PST converter software supports to export Lotus Notes Emails to Outlook and also converts Lotus Notes contacts to PST. Tool exports all items into PST file as well as offers to create a separate PST file for address book (names.nsf) file & emails. Import Lotus Notes NSF to Outlook PST with calendars, emails, Notebook, to-do list, contacts, notes, and tasks. Users can choose one item or even a combination during the conversion process. Encrypted NSF mail is supported by Lotus Notes to PST converter software. Further this encryption can be removed from encrypted emails to proceed with the conversion into .pst file. NSF to PST Conversion also incorporates the provision to keep HTML formatting exactly. Entire Meta data (To, Cc, Bcc, From, Subject, Received & Sent date and time of email creation & modification, etc) are maintained exactly as it was in the source file while migrating from lotus notes to outlook 2016. Switch from Lotus Notes to Exchange Server directly using Enterprise and Technician license edition of this software. The NSF to PST converter can extract huge amount of data from NSF to mailboxes of Exchange Server . The filters provide facility to exclude emails between a specified date-range and Skip Selected Folders. Either mark the option to exclude 'Deleted Items' & 'Sent Items' or enter the name of specific folder(s) to be excluded. Converts NSF to PST file along with all selected folders. Check or uncheck folders that will let you export data from all required email folders of an NSF file except from unchecked folders. Using this feature lowers the consumption time in the migration of data. You can apply the date wise filter on Lotus Notes calendars to export calendars within a specific date range. The NSF to PST converter software will include the calendars 'of' selected dates and export them to an Outlook PST format. It's totally depends on your need, you can create the PST file from 100 MB up to 50 GB as per your requirement. So check the box "Split options for Outlook data file" and choose size limit to apply the function. Entire editions of IBM Lotus notes and Exchange Server are supported by the tool for migrating from Lotus Notes to Outlook. Import NSF file to Exchange (2010, 2007, 2003 etc.) and MS Outlook. MS Outlook installation is required for the migration of lotus notes NSF to PST format. Microsoft Outlook 2016 and other all older editions of MS Outlook (32 & 64 bits) are supported by the tool. It is a unique feature of the tool which helps us to directly map the canonical values from the Names.nsf file. So, with NSF to PST tool, there is no need to map the SMTP addresses from Names.nsf file to canonical values manually. By using this function you can select a few contacts fields to exclude duplicate contacts from the list while exporting to PST file. It helps to avoid the import of duplicate contacts from NSF to PST file format. Recently this feature has been added in the tool which help users to filter and export a few required journals. Check include date box and select date range & that will filter journals of selected date range. Lotus Notes is a desktop mail client developed by IBM. It downloads emails and stores them in database.nsf and saves contacts to a names.nsf file. Lotus Notes and Domino Server presents a great example of client server architecture, but it is highly cost & effort demanding. Continuous error pop-up & complexities of Lotus Notes sometimes becomes a problem beyond tolerance for users, which makes them look for a solution like the NSF to PST converter. These issues generate an urge to switch the platform by migrating from Lotus Notes to Outlook. For accurate and secure migration, use NSF to PST conversion software. The product gives 100% safe, simple & faster process for the intact conversion of data from NSF to Outlook PST file & MS Exchange. 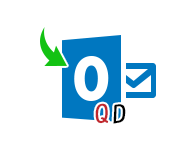 It also export notes contacts to Outlook data file that can be imported into Address book.The best part of the software is that there is no need of any email client to import Domino NSF to PST file. Free NSF to PST Converter converts only 25 Items per folder. Step 2: Click on Browse button to select input file. Step 3:Choose the desired file and click the Open button. Step 4: If you want to migrate contacts (names.nsf) then select the second option. Step 5: Browse names.nsf file and click the Open button. Step 6: To export the few selected folders, Check the "Export Selected Folder" option & click the Select Folder button. Step 7: Choose the essential folders to Export & click on Apply button. Step 8: The software will provide several choices for the migration. Select At least one option (mails, contacts, calendars, tasks and journals) from categories. Step 9: Apply Email filter and calendar filter by selecting date range. Step 11: Select required properties and click the Apply button. Step 12: Apply a few advance Options by clicking on the Settings button. Step 13: In options tab you will see a lot of options as shown below, select required functions: HTML Formatting, Internet Header, Remove Encryption, All Documents. Step 14: Jump to the second tab "Email Address Translation" to convert the canonical name into the Outlook SMTP format. Step 15: Provide the domain name for the SMTP translation with respect to the canonical name. Step 16: Move to 3rd tab "Custom Folder(s) Mapping" to map the default folder with your Outlook default folder name. Step 17: Provide Changed Folder Name and click the Save button. Step 18: Check "Split options for Outlook data file" and choose required size to split resulting PST file. Also click on the change button to provide destination path. Step 19: Finally Click on the "Export"button to start the migration process. Step 20: The tool will starts exportation of files, click the "Save Report" button. Enter the name for saving report in a csv file. Is it possible to make a switch of All Documents folder particularly? Yes, you can select the All Documents checkbox from the Select Criteria screen of the software and import notes to outlook from your All Documents folder straightaway. I just want a limited number of emails to be converted. Is it possible? Yes, you can make such customization in your conversion process. Just select the Mail Filter option and provide the From and To dates respectively, emails of which have to be downloaded into an Outlook PST format file. Note that the 'selected' dates will be included and emails under the dates between the provided dates will be converted. Kindly, select accordingly. Can I convert multiple numbers of NSF files? You will have to purchase the software in Business or Enterprise License to perform bulk NSF file conversion. Further, the licenses also support migration to Live Exchange Server along with Outlook PST. The tool is capable to convert Lotus NSF to Outlook PST online, without lotus notes even if lotus notes is not installed object on machine. What if I want to test the software before i make a purchase? You can download the free trial version of the NSF to PST Converter that lets you test the functionalities in the tool by letting you convert the first 25 items from each folder within the selected .nsf file to PST. Which version of Outlook is supported by this software to import NSF to PST? The software supports Outlook 2016, 2010, 2007 and 2003. Is there any extra technical assistance required for Lotus Notes to Outlook Conversion? There is no requirement of extra technical assistance. Since, Lotus Notes to Outlook Migration tool is developed with an easy and user-friendly interface. I would like to thank the support department of QuickData for helping a novice user like me to work out for the conversion of data from Lotus Notes NSF to Outlook PST. They consistently stayed online and helped me throughout the conversion! Thanks a lot! I recently updated my Lotus Notes to IBM Notes client, however, I wasn't aware regarding switching of my job where only Outlook was functional. Thus, I searched all top search engines for a suitable solution. I was very much impressed with the NSF to PST Converter free version, So that I was able to make a decision to go with QuickData, glad i did! Great Tool! We had recently installed a trial edition of IBM Notes on our machine at home to try how the application works. But not being quite comfortable with its working we decided to make a switch to our Outlook but of an updated version. Lotus Notes to Outlook Converter helped greatly in making things possible for us! After working with IBM Notes for more than a decade, our organization noted that switching to MS Outlook would be more economical looking at our current sale status. I also came to know that It supports Outlook 2016. After that, we got a quick hold of the NSF to PST Converter and made a switch immediately and quite easily. !